Procrastination Station: Quick Stitch: Sewing Staples...Tonight's the Night! Quick Stitch: Sewing Staples...Tonight's the Night! There's a little bit of excitement in the air! Tonight's the night my first Quick Stitch Kit with Papertrey Ink goes on sale. It will be available to purchase at www.papertreyink.com at 10 PM EST. Here's a few blog posts from the last week that can show you some projects (with videos, PDF downloadable instructions, and links to other blogs featuring the kit) and tell you more about it if you are stopping by for the first time. And I've got one more project to share with you using the Scissor Keeper Dies that are included in this kit. 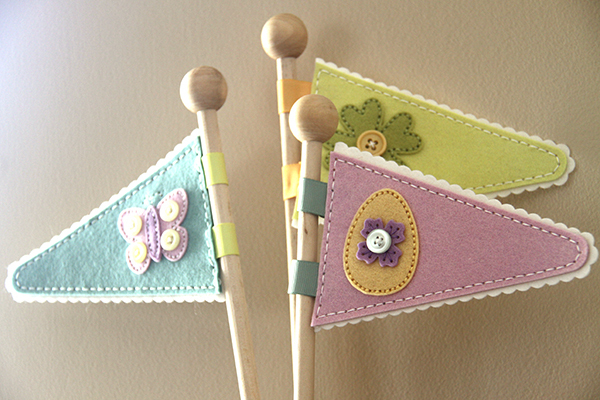 This time I made springtime pennants with them for some sweet home decor. I cut off the handles of the Scissor Keeper Dies and used PTI's grosgrain ribbon to attach them to some 3/8" wooden dowels. I also got the circular caps to top them off. They happen to have a 3/8" hole in the bottom for a perfect fit. I didn't even have to glue them. Both I got at Michael's. 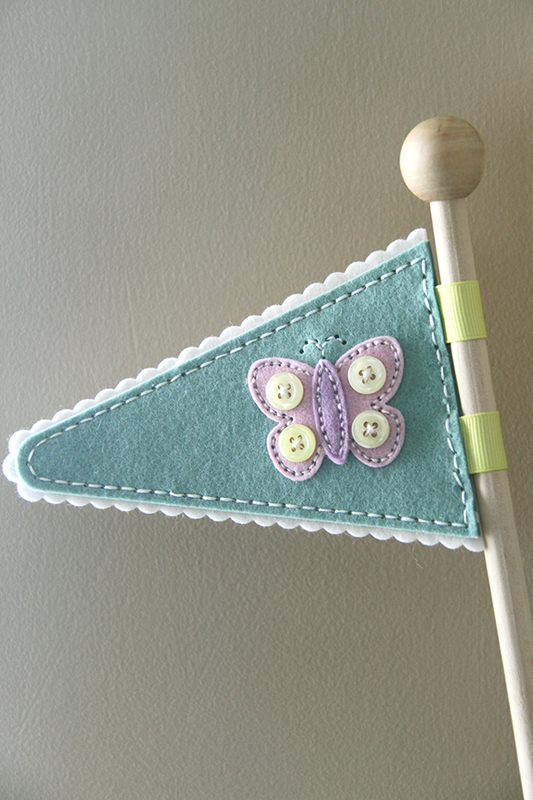 I added all the spring accents from the Seasonal Stitches: Eggs, Shamrock, and Butterfly which I released last year. Each have button accents in coordinating colors. And the egg has a flower accent from the Floral Cluster Dies that are included in the Quick Stitch Kit. I have a trick to make these have some "body". They stick nicely straight out from the dowel. They take just two layers of felt cuts, one straight edge and one scalloped edge die from the Scissor Keeper Collection. Hidden within the two layers is a paper core (also cut with the straight edge cover from the Scissor Keeper Dies), which gives the stiffness and "body" to my flag. 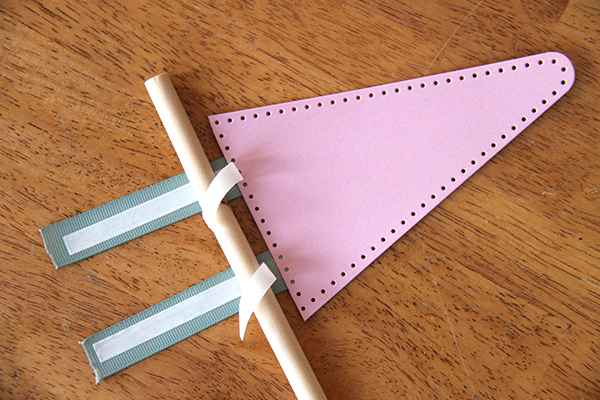 I attached the ribbon with adhesive to the paper flag. 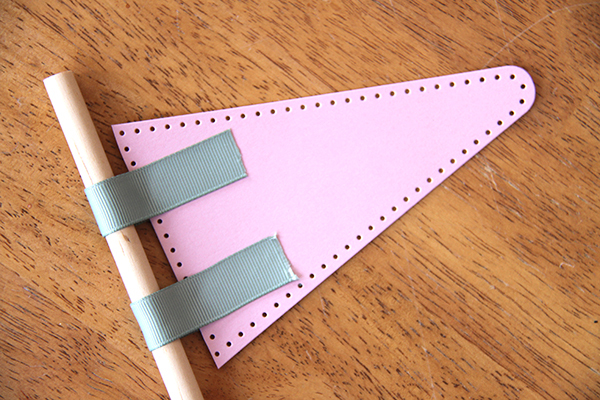 The adhesive goes the entire length of the ribbon and holds the ribbon to the dowel. The other end of the ribbon adheres to the front. And then I just sandwich the paper between my two felt cuts and sew it up. Super simple and easy. 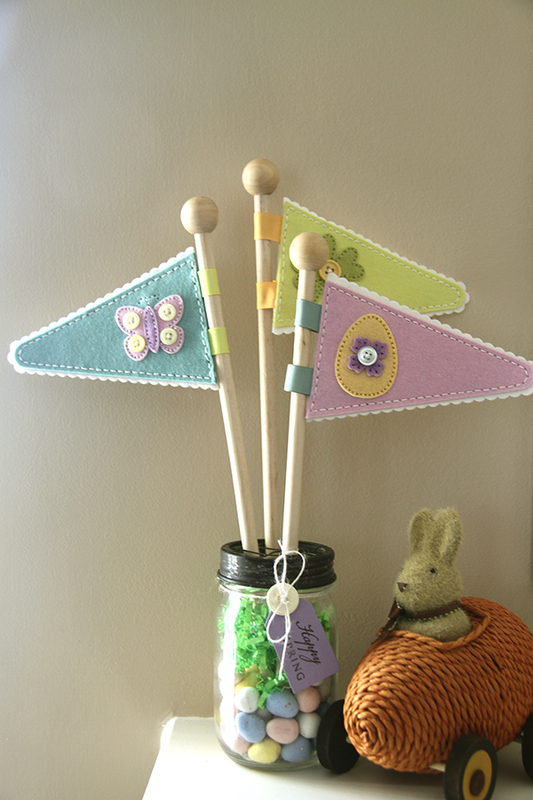 The flags are in a mason jar with a "frog style" lid to help hold them in place. 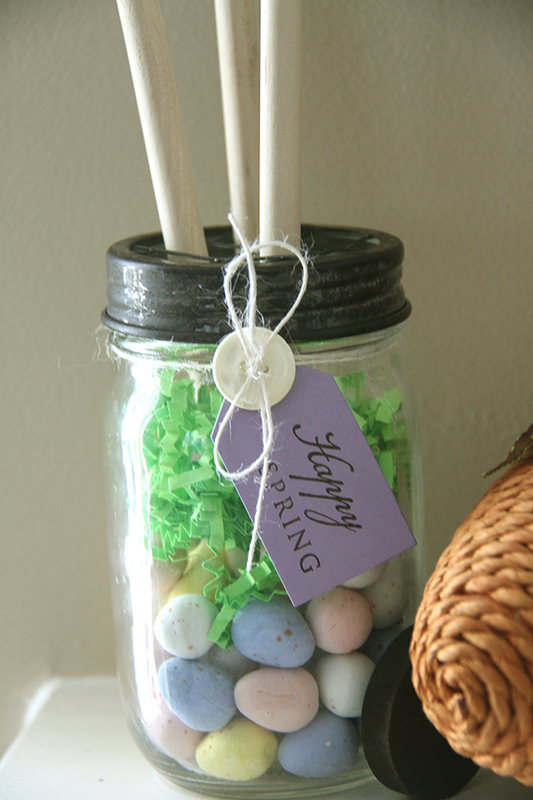 I've got one of my favorite Easter candies as filler. Hopefully I won't be eating those Cadbury Mini-Eggs when they are buried underneath that paper grass. A Tremendous Tag cut is stamped with Wreath for All Seasons. Sitting here on my family room couch typing this up and smiling up at my mantle where this sweet decor piece resides. I'm glad I finished it! It's been a work in progress for a few weeks. Thinking it would also make a very cute gift. And with the variety of Seasonal Stitches Dies, you can do one for every season. OK, that's it from me. Hope you are as excited as I am to get stitching with the Quick Stitch: Sewing Staples Kit! Just a few more hours. Remember, 10 PM EST at www.papertreyink.com. Thanks for stopping by!